We switched everything at about 10 pm on Thursday night, and what was suppose to be a “wow!” moment turned out to be a bit of a nightmare. Nothing worked! The ladies here in the US were sound asleep and unaware of the fact that they could not access ANYTHING, but around the world some of you ladies were waking up, and I was freaking out! It felt like being back in math class: I had to go through a long equation to figure out where I’ve made a mistake that brought me to the wrong answer! Fortunately we got it all figured out (as you’ve probably noticed) but not until 3am Friday morning! Now if this is not the perfect excuse to not show up for exercise, and not spend time with God I don’t know what is! My dilemma though: I’ve made a commitment to show up, no matter what! So of course I did the right thing…NOT!! I was still tired plus I had a headache. This time however, the Holy Spirit wouldn’t let me off the hook: I was reminded that I promised to show up! So I “showed-up” but with the attitude of a rebellious teenager and the face of a stubborn two year old. I was mad and felt very, very sorry for myself. I know you’re waiting for this story to turn the corner, but not quite. If you keep showing up in God’s presence the same will happen. The Bible that’s now just lying open in your lap might one day come alive before your very eyes, reaching into your heart and bring healing to those very broken places. If you keep laying on that carpet morning after morning, surrendering your life to Him, you might just see Him take the wheel of your life in the most amazing way. Even better yet, you might just see His face, and never be the same again! Don’t believe the enemy when he tells you that your efforts to get active are pathetic, or you can’t feel God anyway, or the Bible is boring. Refuse to listen to him! Never mind where you’re at though, the moment you stop showing up, trouble is knocking at your door. The good news: You can start showing up again today! I’m sure you have funny stories to tell about “just showing up” yourselves. Let’s hear some of them! Oh and thanks so much for all your prayers last week, God is doing a good thing! I really enjoyed this Heleen, you’re a great writer! 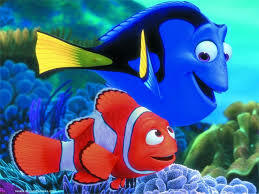 I will remember Dori and to “just-show-up” next time I have excuses. I needed this, believe me! I love Dr. House and i always watch this TV series after my day job.’*.